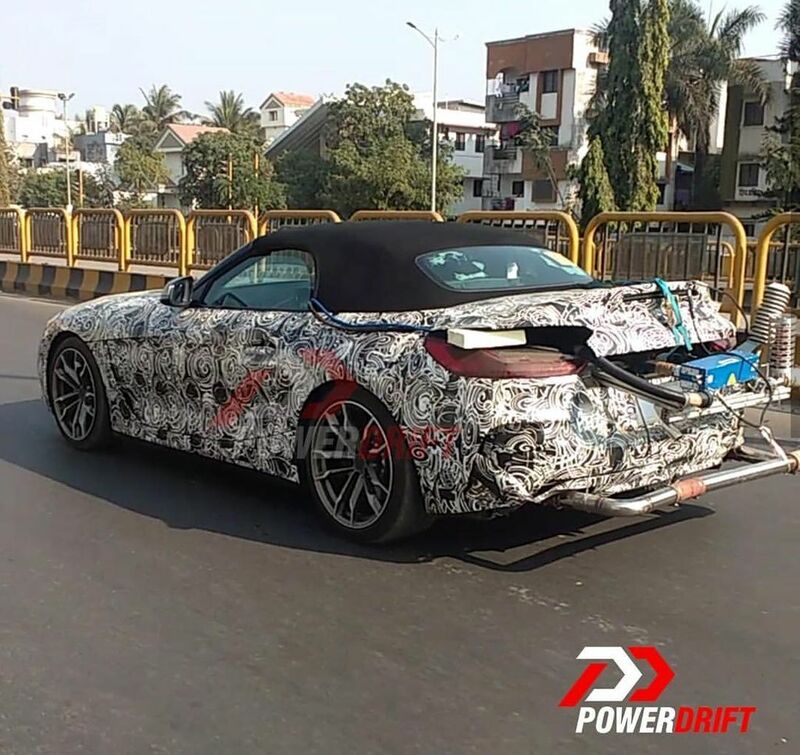 BMW India has been testing the all-new Z4 under a heavy camouflage on the Indian roads. The two-door roadster made its world premiere at the Pebble Beach, California. 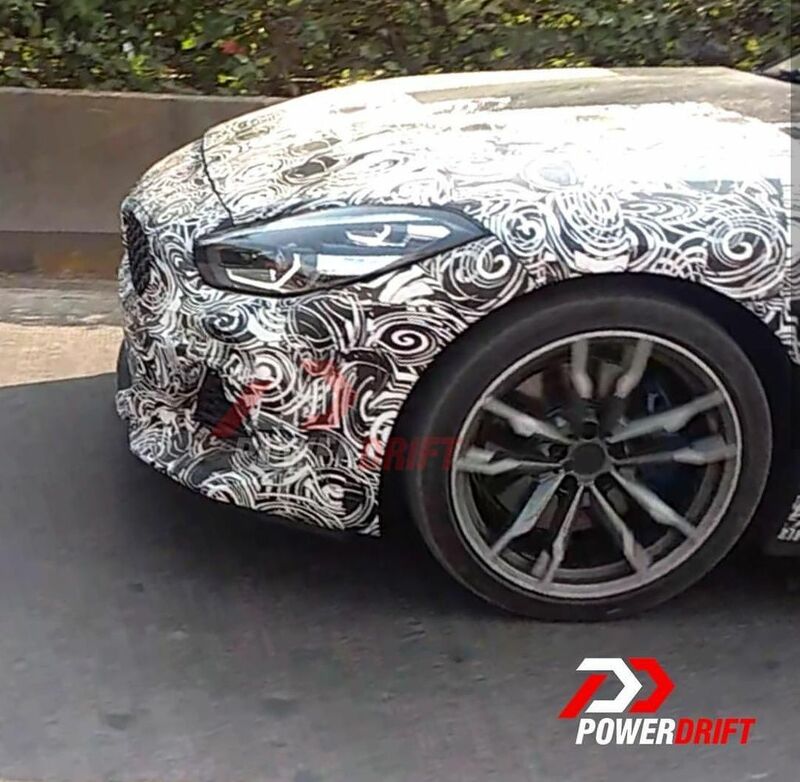 The same vehicle has been spotted testing in India under heavy camouflage. 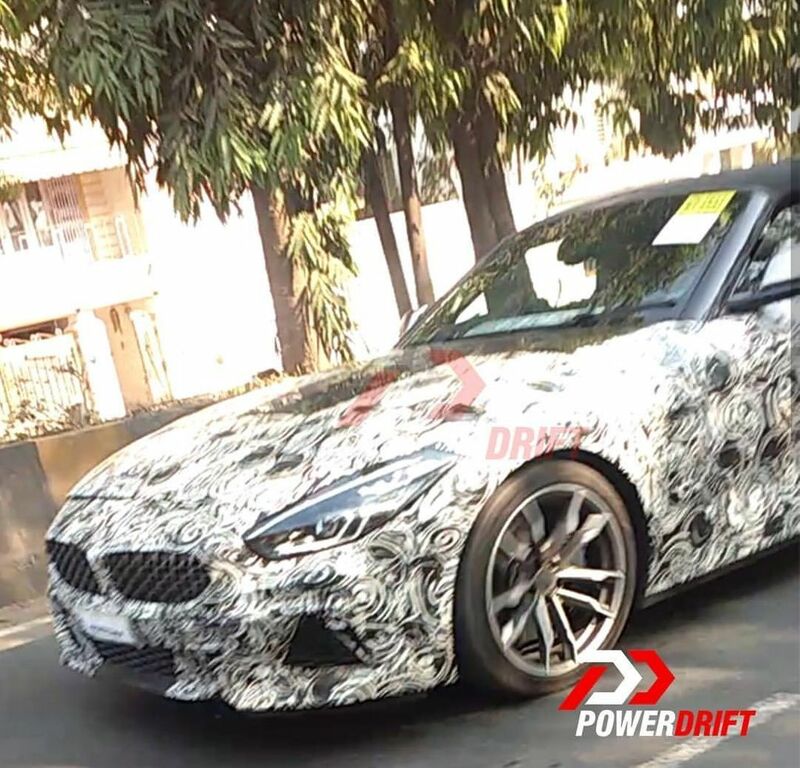 The all-new 2019 BMW Z4 has been co-developed by BMW and Toyota in a joint venture. Toyota Supra has also been jointly developed by the German and the Japanese automotive giants. However, both the models get distinctive characteristics and will be quite different from each other. The all-new Toyota Supra is a coupe while the BMW Z4 is a roadster. The all-new BMW Z4 looks very much inspired by the concept version when it comes to the design. The all-new model also features a soft-top instead of an aluminium hardtop that came with the last-generation Z4. The soft-top can be operated even when the car is being driven but under a certain speed. The roof can be raised or lowered in 10 seconds. The soft-top makes the all-new BMW lighter by at least 50 kg, which translates into better performance. 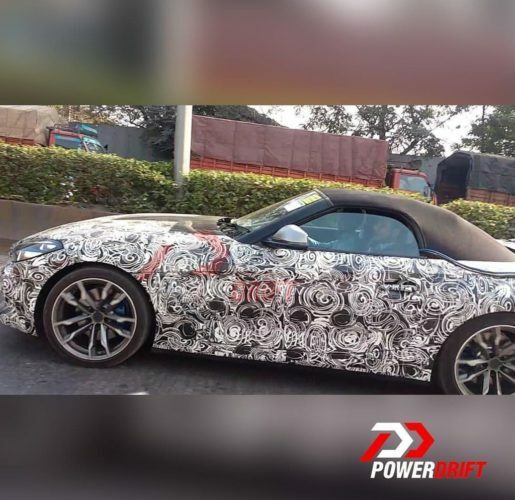 The upcoming Z4 is an all-new car that is built on the new CLAR platform. It gets the signature long bonnet and short rear stance. Features include new LED signature lamps in the headlamps, which are new vertically aligned and the new-generation BMW kidney grille with a mesh design. On the inside, the car gets iDrive 7.0 infotainment system that is voice-controlled and gets inputs by the conventional rotary controller. The all-new Z4 gets an all-digital 10.2-inch instrument console that shows various information on the screen. 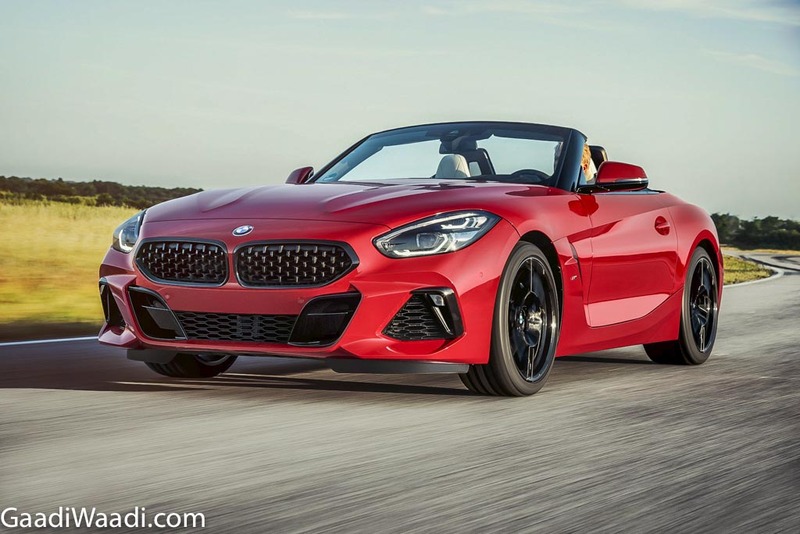 The all-new BMW Z4 gets powered by the 2.0-litre turbocharged petrol engine and a 3.0-litre in-line six-cylinder petrol engine. All the variants get an eight-speed automatic transmission. The production of the all-new BMW Z4 has already started in Graz, Austria by the contract manufacturer Magna Steyr and the launch is expected to happen in March 2019 in the international market. The Indian launch will happen shortly after. It will be CBU vehicle and will be imported as per demand.